Just want a starter kit? Clone webpack-black-triangle for something minimal, or the Unicorn Standard Starter Kit for the works. Of course, there is more to the story than this. You can use ES6 in the vast majority of modern browsers, but with a catch: you’ll need a build step. And while this has been a deal-breaker for many in the past, we’ve entered an age where it doesn’t have have to be. Webpack lets us do a lot with very little effort – for example, the configuration file in the github project for this post tells webpack how to transpile ES6 with Babel, compile LESS, and reload the page when files are changed – all in 26 lines. Webpack is the least retarded piece of software I’ve used that’s written in JS. With all this in mind, I recently chose webpack for the build system of memamug.com, a small open-source app I’m writing with a React-based frontend. And given the biggest complaint with webpack is it’s lack of documentation, I thought I’d walk you through the process while it’s still fresh in my mind. But before we can start, we need some ES6 code to run our build process on. And as luck might have it, I’ve made an over-engineered black triangle, just for you. It will even start spinning once you’ve got things working. Doh. It looks like webpack is still choking on ES6. 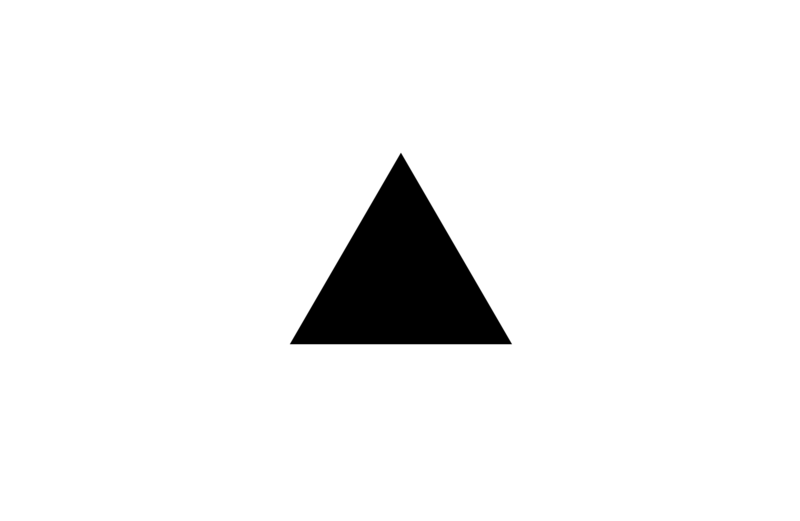 And, if we view our app at localhost:8080, we still see an immobile black triangle. What gives? To spin your triangle up, add a webpack.config.js file in your black-triangle directory with the following content, then restart webpack-dev-server and reload your page. Don’t worry about how it works just yet – I’ll walk you through it in a moment. To stop webpack-dev-server, press ctrl-c (yes, even on a mac). There is no need to restart the server after changing files other than webpack.config.js – just refresh the page. Have you got your triangle spinning? If not – leave a comment and I’ll try and help you out! Otherwise, let’s take a quick tour of the config file. You can do normal node.js things like require modules and check environment variables. Webpack’s configuration is placed in the object which the file exports, i.e. whatever you assign to module.exports. output tells webpack-dev-server where to serve compiled files from. We tell it to build a single file labeled main.js, directly on the server’s root – hiding the original main.js from your browser. devtool tells webpack to automatically serve us source maps as well, so browsers can display the original source in their development console (as opposed to the compiled source). module.loaders is a list of loaders – npm packages which allow webpack to transform our source. We tell webpack to run .js files from the src directory through babel-loader, using the es2015 plugin to transform ES2015 (i.e. ES6) to ES5. If you ever need to know more about webpack’s config object, there is documentation available on it’s website. It’s not for the faint of heart, though, so don’t read it until you have to. There is, as always, an exception: the plugins configuration options is super-useful – but generally only once you want to deploy. I’ll explain how to use plugins for things like minification in a future guide, and the only way to ensure you don’t miss out is to join my Newsletter. 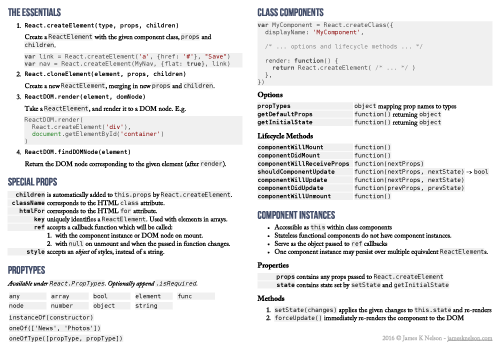 And in return for your e-mail, you’ll immediately receive a free print-optimised ES6 cheatsheet! But for today, let’s finish by adding a few nifty tweaks to your webpack configuration. One of the biggest wins from using webpack-dev-server is that it notifies your browser when files change. Of course, nothing will happen unless you listen to these notifications, but luckily, webpack-dev-server includes a handy self-contained script which both listens to the notifications, and reloads the page for you when it receives them. The script in question is 'webpack-dev-server/client?http://localhost:8080'. Why not have a shot at adding it yourself based on what you learned above. Once you’re done, touch or hover over the blank box below for an answer. Luckily, you can specify default options for webpack-dev-server by adding a devServer object in webpack.config.js. The keys in this object are just the camelized versions of those you’d pass to the command line version. And then you can omit the --content-base src from the above command. If you already know how package.json works, you can skip this section. You can record your dependencies (e.g. webpack & babel), then install them again using npm install. You can define a start script, so you don’t even need to remember webpack-dev-server – just npm start. Now follow the prompts, remembering to enter src/main.js as your entry point. Finally, test it out by shutting off your existing server (if it is running), typing in npm start, and visiting localhost:8080. And there you have it – an ES6-compiling, automatic reloading dev server, which can be started as easily as typing npm start. Neat! But don’t close the tab just yet. To really make it worth your while having read this article, you need to remember the important parts – and what better way to do so than with a useful exercise. This exercise is small in scope but big in result. It involves adding only two lines to your webpack.config.js, and in return you’ll get near-instant updates to your browser’s stylesheet as soon as you save the changes to your .less or .scss files. Substitute less-loader for scss-loader if that’s how you roll. Don’t forget to move the styles out of index.html while testing! Make sure you don’t get bogged down in this exercise – feel free to quit after 10 minutes or so. The important thing is that you give it a shot. 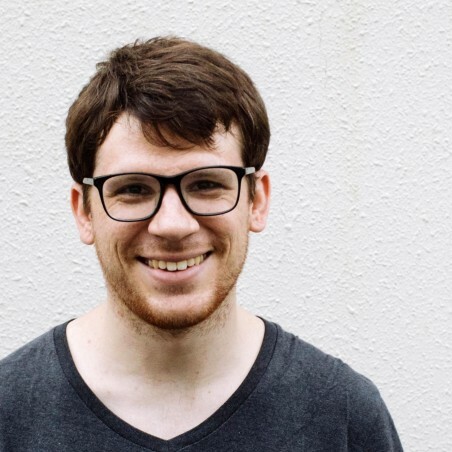 Once you have given it a shot, you can check out my solution, and how I’ve wired this whole project together, at github.com/jamesknelson/webpack-black-triangle. Awesome. Now how do I configure my app for deployment? Well, first you’ll want to minify it. Then, you may want to bake in some environment variables so you can set different API keys in development and production. You’ll probably want to extract your CSS to a separate file, and you’ll also want to cache-bust your generated assets. And that will require some way to modify the src attribute of your <script> tag to match. Now you could just clone my Unicorn Standard Starter Kit. But if you actually want to understand what is going on under the hood, the only way to ensure you don’t miss the guide is to get on my Newsletter. Hey, love the post! You’re right that Webpack docs are a bit sparse, and this got me started on the right track. One note though, I had to move index.html to the black-triangle/ folder to get it to spin, since that’s the build target for webpack, but in one of the steps you say to mv index.html into src/. Thanks again! Looking forward to seeing Unicorn Standard grow. Glad you enjoyed the post, Jeremy! I just tried following the instructions with a new project, and had no trouble with my index.html in the src/ directory. Not sure what you may have done differently, but as a guess, did you pass the `–content-base src` option to `webpack-dev-server`? Thanks for this article. We found more and more huge and complex starterkit for webpack and people don’t understand really how it works. In your “Tweaks” section, point 1, rather that adding ‘webpack-dev-server/client?http://localhost:8080‘ to the “entry” property, just add the “–inline” option to the webpack-dev-server command line. There are too much to tell as soon as it involves something about Webpack. It’s complex and non-intuitive. this is by far the best webpack tutorial I have found thanks so much! Hey James, thanks for the nice tutorial! I was going through Memamug’s webpack config file. I couldn’t understand much between 7th to 19th line. Could you please help me understand those lines. Going through this today, and I had to install ‘webpack’ globally as well to get this to work. I am not so convinced by your statement “long, complicated Gulpfiles and Gruntfiles.”. first, the complexity does not equals to line of configurations, as long as configuration is simple and easy to use, it doesn’t matter that we need a few more lines. Back to the problems you want to resolve in this article, don’t you agree they are easy when using grunt or gulp? Webpack is the MOST retarded, stupid, and non-intuitive, piece of junk I’ve used. It bogs down creativity, speed, and workflow. Look around. You see the same “tutorials” written over and over and over by different people. WHY? And when you create your own workflow and try to solve it using webpack, you will eventually realize what a pain in the arse time waster nonsense this is.